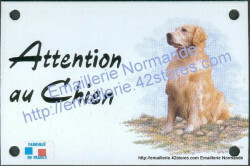 The text is only available in french. Approx. size 10x15cm, 4 holes to tie it up, white background, black text. Text and pattern are both made with enamel transfers melted at 800°C. Writting style: rustique. Coulours shown on the picture may vary from the reality. Manufacturing delay: generaly 8 to 12 days. Shipping delay vary: approximatively 8-10 days to Australia, USA, Canada, 4-8 days to Europe... (that are approximative delays). 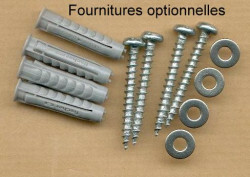 Screws may be purchased: see below or in the suggested products in the basket.